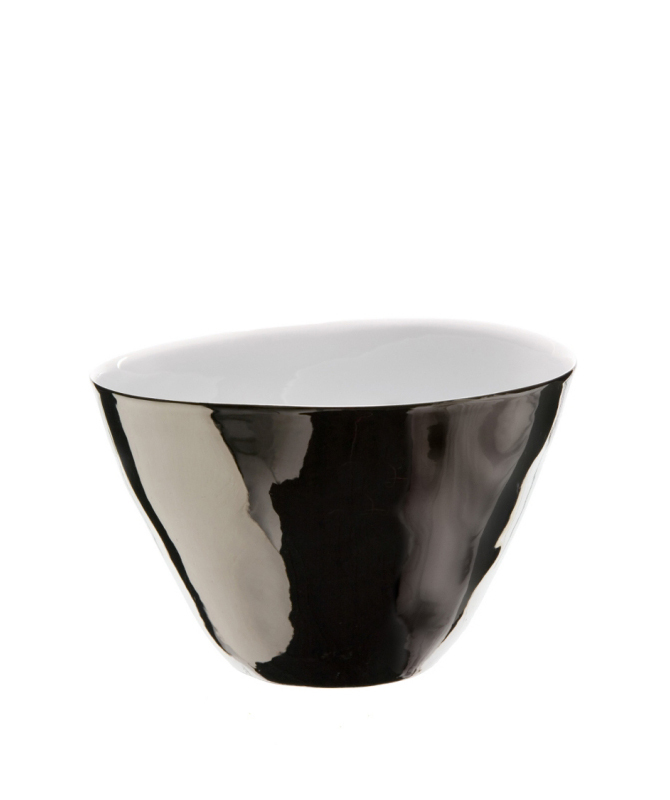 Salad Bowl in porcelain, irregular form. Real Platinum glazed exterior, white glazed interior. Handmade in Hungary in traditional moulds. Hand wash recommended, not for microwave ovens.